As one of the leading promoters in dance music we work with partners and friends to create positive change among the community. Whether by giving back through philanthropic efforts, or establishing creative allies to make the most of our events, we couldn’t do it all alone. Read on to learn more about the fruitful relationships we’ve established with our many partners. Disco Donnie Presents is now in partnership with Unite4:Good, a platform that bridges the digital world and real-world action by uniting individuals, brands, non-profit organizations, leaders, and influencers with a common goal of creating kindness and social good. Users can earn points through their kindness and philanthropic efforts and have the opportunity to redeem or donate those points in the online marketplace for tangible rewards. Electronic Music Alliance (EMA) is a 501(c)(3) non-profit and global membership alliance of dance music fans, artists, and industry idealists. EMA encourages the dance music community to be the “Sound of Change” by organizing around issues important to the community like health, safety, ecology, and volunteerism. 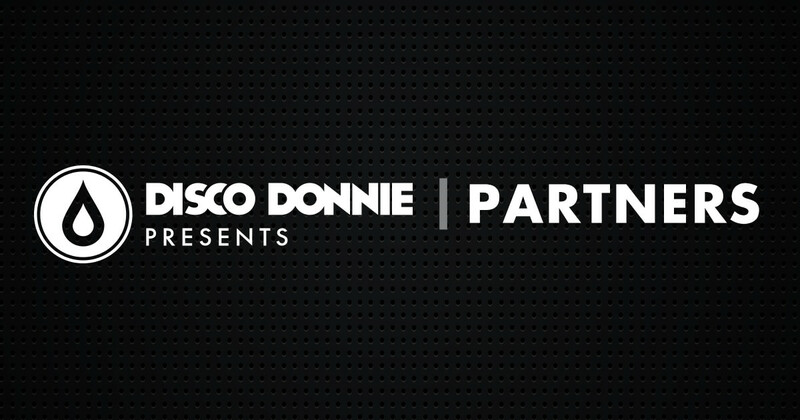 Disco Donnie is a founding member of the Electronic Music Alliance and several members of his team are active members. Through their participation they have helped provide opportunities to their fan base to support the EMA Massive Action program which helps transform the love generated on the dance floor into seasons of service weekends in their local communities. Fore on the Floor is a Charity Golf Classic that takes place in Miami during Winter Music Conference. Teaming up Life In Color, proceeds from Fore on the Floor benefit the Watering Seeds Organization, whose programs are dedicated to providing care for wounded warriors while funding critical rehabilitation and other athletic programs. For Sun City Music Festival 2015 in El Paso, Texas, attendees were encouraged to participate in a food drive benefiting the local Salvation Army. Attendees that brought one or more donations of nonperishable food items and/or boxed goods were eligible for many perks including expedited entry into the festival and giveaways for VIP upgrades or tickets to the next year's edition. Sunset Music Festival 2014 teamed up with The Tampa Police Department in support of a community donation program to keep Tampa safer. Using a portion of ticket sales, Sunset Music Festival has donated $15,000 toward the Tampa Police Department’s newly renovated Police Athletic League (PAL), which helps provide children a highly structured, academically and recreationally balanced afterschool program. Attendees of Houston, Texas' Something Wicked 2013 festival helped donate $10,000 to a local chapter of The 100 Club, a local organization dedicated to aiding the dependents of firefighters and law enforcement officers who have died in the line of duty. With a portion of ticket sales from Sunset Music Festival 2013, attendees helped donate $10,000 to the R.I.C.H Houses in Sulphur Springs and Robles Park, a local organization dedicated to positively changing the lives of children through education. The R.I.C.H. Houses, which are run by the support of the Tampa Police Department, were developed to help build positive relationships between law enforcement and residents while cultivating at-risk children into leaders in their community. The Los Angeles-based video production company, Eyewax Films is our go-to group for event trailers and our documentary series OFFSTAGE: Behind the Rise of Dance Music. Together with Eyewax Films we work to create online videos everyone will enjoy. If you're a follower of the dance music scene, Rukes photography is hard to miss! Widely acclaimed to be the #1 DJ photographer, Rukes works with Disco Donnie Presents to capture the magic of our festivals. With a renowned list clients, when we want to relive the memories of our past events, it's photos by Rukes that we seek. Our friends at AG Productions specialize in the elements that bring our events to life through lighting, audio, video, and stage design. Side by side, we strive to transform spaces and make dreams a reality by stimulating the senses with a truly interactive experience. Combining the latest techniques with years of experience in the touring and festival circuit, AG Productions redefines events brought to you by Disco Donnie Presents. In partnership with the Entertainment Services & Technology Association (ESTA), we at Disco Donnie Presents work to invest in the future of our industry by establishing standards for safety. ESTA supports the development of technical certifications, educates members, and provides business resources to raise the bar for ethical and professional behavior. As a dedicated partner of Disco Donnie Presents, BackStage Catered provides delicious handcrafted food to our hard-working crews behind the scenes at major festivals. Offering a wide array of on-site cuisine, BackStage Catered keeps our employees well fed with a menu that arrives on-time and on budget. Their reliable catering services make sure tours run smoothly and are available in Los Angeles, Chicago, Miami, New York, Texas, and Florida.